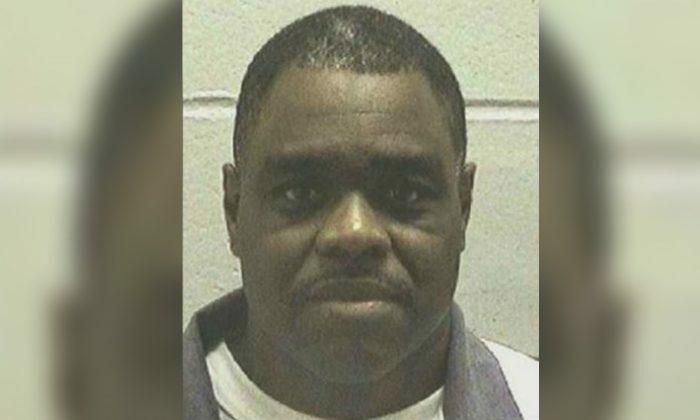 ATLANTA—A man who killed his ex-girlfriend and another woman nearly 25 years ago is the first death row prisoner set to be executed in Georgia this year. Lawyers for Morrow have said the killings were “spontaneous and emotionally-charged” and that he shouldn’t have been sentenced to die. Woods told Morrow to leave, saying Young didn’t want anything to do with him anymore. Morrow yelled at her and pulled out a handgun and began shooting, hitting Woods in the abdomen and severing her spine, the summary says. Morrow also shot Young’s other friend, LaToya Horne, in the arm. Young’s 5-year-old son was hiding in a nearby bedroom and saw Morrow kill his mother, the summary says. Morrow then returned to the kitchen, where he fired a fatal shot under Woods’ chin and then shot Horne in the face and arm, the summary says. He cut the telephone line and fled. “The death penalty is rarely sought—let alone obtained—in response to spontaneous and emotionally-charged crimes like that committed by Mr. Morrow,” they wrote. When Morrow went to Young’s home, he pleaded with her to get back together. He pulled out his gun when Woods mocked him, saying Young had used him for money and companionship while her “real man” was in prison, the petition says. His trial attorneys failed to adequately investigate his childhood, so jurors didn’t hear about years of abuse and bullying Morrow experienced as a child that left him tormented and unprepared to function in a healthy relationship, his post-conviction attorneys wrote. If his trial attorneys had done a proper investigation, they could have proven that Morrow “was a genuinely nice guy who, because of the psychological pain of his past, snapped,” his lawyers argued. Morrow’s execution date was set after the Superior Court of Hall County, where he was convicted, filed an order Friday setting a seven-day window for his execution. That window stretches from noon on May 2 to noon on May 9.